Dance that Song Episode 17 is shot in Occidental Square. Lauren Bangasser dances with Michael Haug to "Amere" by Efezio, requested via instagram by odedixion1. Feel free to add to or modify our playlist with songs you love! End of the Year Holiday Dance Party! Do you need a unique gift for the holiday season? 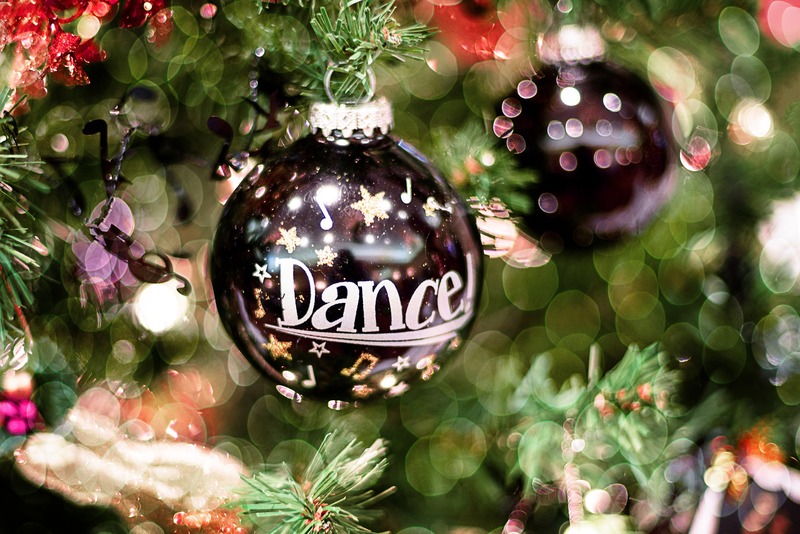 Gift certificates to dance at Flow Studios are available! Our most popular is the 4-pack, but let's add a 5th for free! Get friends and family started in their dancing journey. 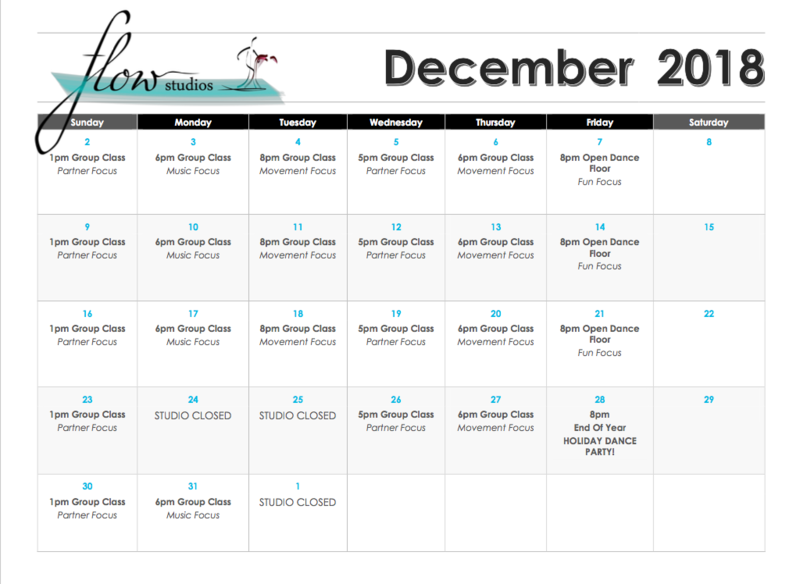 That includes five for the cost of four private sessions, with unlimited group classes. For one person it’s $320, for two it’s $350. Purchase them by emailing dance@flowfluently.com. On her drive to work one day Sam noticed a sign advertising Dance with a small arrow pointing towards Unit #2 at 2000 Airport Way. She decided to stop in and see what happened inside. She hasn’t turned around since that time in Summer of 2017. She brought Cody into the game last March, and now they are both hooked. Sam and Cody met at Southwest Plumbing, where they both worked; she was an accountant and he worked in the warehouse. They have since changed jobs, but gotten closer to one another. Sam has always enjoyed being active. She’ll join a pick-up volleyball game, or even pick up a toolbelt to help with construction work. Cody comes to dance with a long-term background in wrestling, which he has coached at a local high school until recently, and two years pursuit of Mixed Martial Arts (MMA). But both of them seem unable to keep from dancing when there’s a chance. 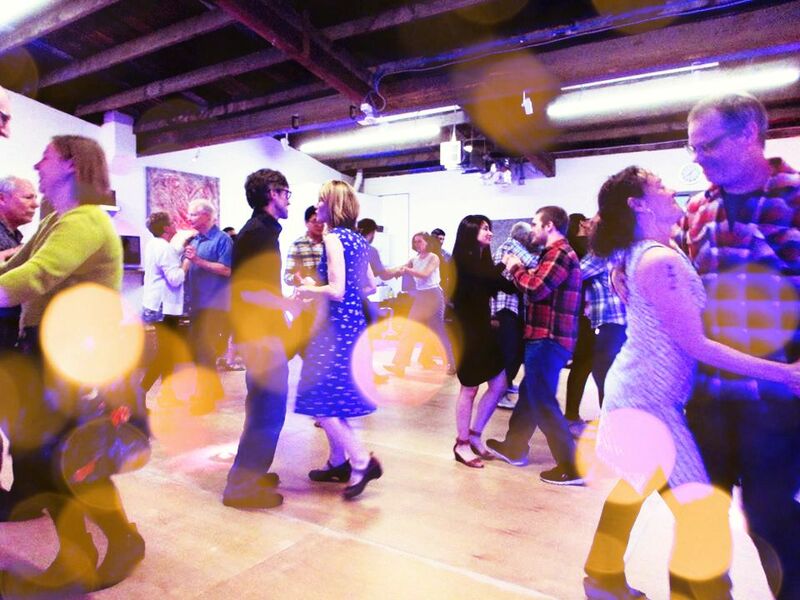 Primarily the couple dances at Flow Studios, participating in group classes, individualized lessons and special events like the Rainier Radio recording. Sam says until she arrived at Flow, she didn’t have many hobbies, and this provides something fun to do outside of her busy life. Cody said he had always heard that “When two great boxers are in the ring together it doesn’t look like a fight, it looks like a dance.” He wanted to test that metaphor out and try out partner dance. Both of them are hooked. Check out a video of their flow below! As Flow Studios develops, we are learning how valuable customer reviews are for defining our growth and success. If you have experienced Flow Studios, we would very much appreciate if you could take a few minutes to write us a review. It would knock our socks off! We’ve linked both our Google and Yelp page. Free dance lessons. Exposure. An Improved Sense of Self. Who wouldn't want this? We're looking for a dynamic duo train in partnership dance, and record videos for our Discovery Program. 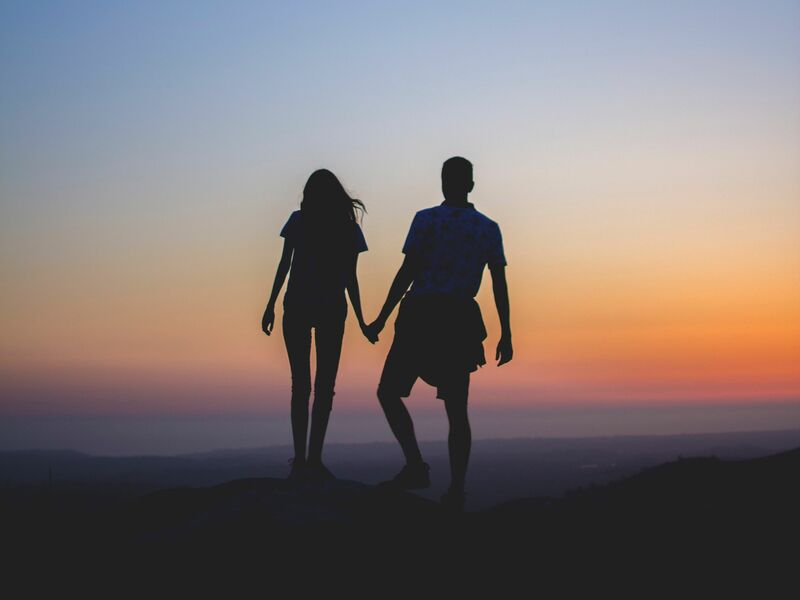 Do you know the perfect couple for this incredible opportunity? No dance experience necessary. Dancers will shoot a 15 episode series where Michael teaches them to communicate through movement, growing from novice to highly capable and wholesome dancers. The goal at Flow Studios is to train anyone and everyone in becoming the exact, capable dancer, that they’d like to become. We want each person to find their flow through this completely objective physical language. It's taken over 8 years of trial and error, but the curriculum is finally set; now we're ready to help you share priceless dance experiences with friends, family, and strangers. To start this journey we are going to shoot a web series, teaching a couple with no experience, the Discovery Program, the discovery of flow and partnership dancing. We are reaching out to you, our Flow community, to help us find that entertaining couple to star in the show. We’re looking for people who are upbeat, enthusiastic and enjoy being on camera. 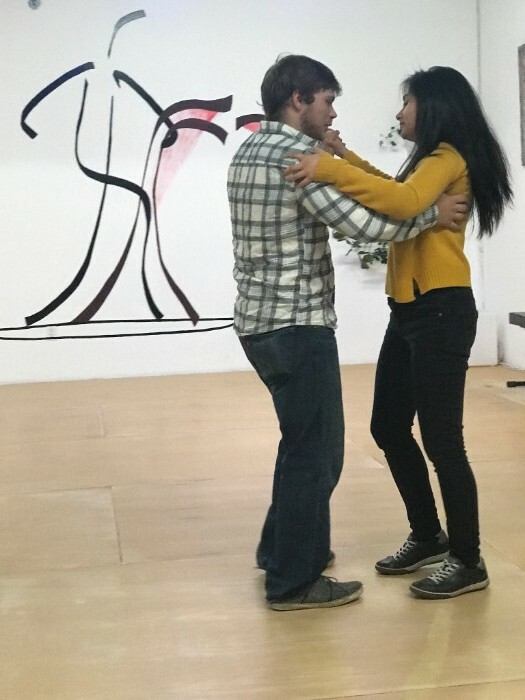 If you know a couple with no dance experience, who is full of life, and wants to help us share Flow with the world, and learn to dance along the way, we would love your help connecting us with them. This is an amazing, and free opportunity, to learn and experience Flow, and help the world see just how easy and fun it is to dance. More than likely you’ve heard the song “12 Days of Christmas” and while the melody sticks like a plague, you may not remember the lyrics past the verse hailing 5 golden rings! You are not alone. The numbers and items named have changed many times over the years. The dancing ladies have numbered anywhere from eight to twelve. But here at Flow, our focus is what on earth they were dancing. Before we get to that, what are the 12 days of Christmas? In Christian theology, December 25 to January 6 marks the time between the birth of Christ and the coming of the Magi. So, the date we call Christmas was for years simply the First Day of Christmas. We wouldn’t mind 12 days of celebration! But lets’ get back to the song. It’s important to know that the Pipers were piping repetitive tunes through their bagpipes. Before becoming a token sound of Warcraft, especially for the Scottish lads, bagpipes were often used as a primary instrument. The dance these pipes inspired was thought to be a sin of the flesh. The Christian church spent centuries trying to ban this dancing. However, the Celtic roots of Beltain and Samhain could not be squelched, and dance “caroles” as they were called, prevailed. Today we talk about Christmas Carols as songs sung door-to-door, but in fact, historically, a carol was a dance. The Ladies Dancing were dancing caroles. And despite the churches' hesitations, the dances would be considered quite tame to us today. In the middle ages, the dances were done in circles, individuals linking arms like Polka or Contra Dancing, often around a fire. The direction of the movement was important, people had to move to the right. If they had moved to the left, it would have been too similar to following the sun’s rise and fall, and too clearly connected to those Celtic pagan rituals of worshiping the earth. It’s likely there were choreographed kicks and cross-body steps, but the records are hard to find. Dancing, according to this song, is a gift to give. We know that. Over time, the symbolism of the dancing ladies came to represent the choirs of angels. Dancers are elegant and graceful, like angels. So why not give it a whirl this holiday season? Link arms with a set of friends and shimmy to the right, rising and falling around a central light or tree.